Do I have to get a referral from my dentist or doctor before I have a consultation wisdom teeth removal? No referral is needed for the first consultation. What kind of experience does Dr Pinho have? Dr Pinho has been practicing tooth extraction, oral surgery and wisdom teeth removal for 15 years in both Melbourne and Sydney. He has performed oral surgery on thousands of patients. Not at all. The process is a gentle and pain-free experience. Only the best and latest technology is used for teeth extractions at Wisdom Dental Emergency to ensure patients experience only minimal discomfort. What kind of pain can I expect after the procedure? All professional at Wisdom Dental Emergency take pain management seriously. Each patient will receive specific instructions and medications to help deal with the pain that can occur afterwards. Will I experience swelling afterwards? Swelling can vary from patient to patient but generally swelling can increase for the first three days but will being to reduce slowly after that. Although you can have wisdom teeth removed at any age, it is better to have them taken care of at a younger age. It’s important for teenagers to have wisdom teeth consultations and evaluations. Each person is different so your dental or oral surgeon will examine your teeth and will explain the pros and cons and the risks involved. What is recommended to eat after wisdom teeth are removed? Soft foods are advised in the first week as to not aggravate the gums and to reduce the chance of infection. Do I have to go to hospital and be put to sleep to have my wisdom teeth removed? 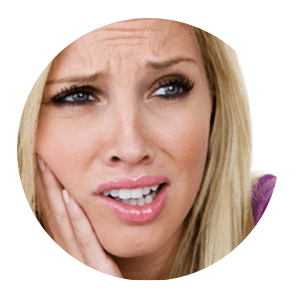 Each case can vary so it will depend on your case however if 4 teeth are being removed then people will often choose the option of having a general anaesthetic. You will not need to stay overnight in hospital as it’s performed in day surgery and takes less than an hour. Do I have to book another appointment to have the stitches removed? No you won’t need to have them removed as the stitches used are dissolvable. Dr Pinho does recommended patients return 7-14 days post surgery to check how you are healing. This appointment is free of charge. Even though the prices for removing a single teeth may vary, removing 4 wisdom teeth will never cost you more than $970. To find out about pricing and payment plans, click here. Does my insurance pay for wisdom teeth removal? This will depend on your health cover however you can find out more about pricing here. What is dry socket and will I get it? Dry socket is when the blood clot comes off after a tooth extraction. It causes pain and a bad taste is left in the mouth. Good quality oral surgery and the correct post-operatory care will minimise any chances of dry socket. Due to the excellent level of care at our practices, we rarely see any cases of dry socket.